A colleague started chatting with me on fashion concepts, and he introduced to – besides many other things – the idea of Techwear. Searching for that term was an eye-opener. 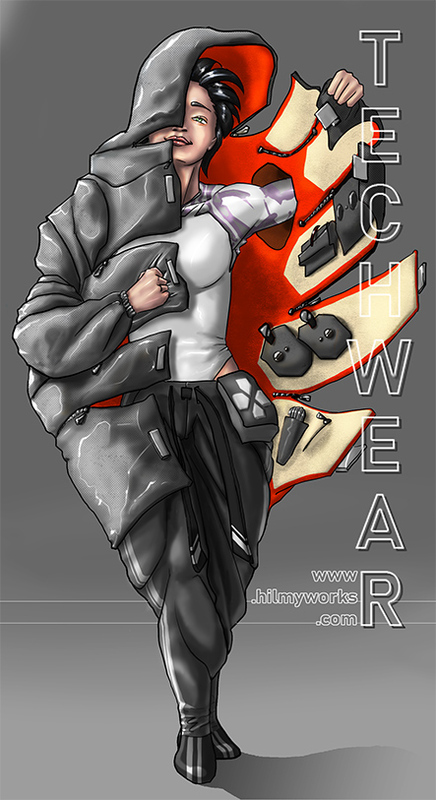 Movement wear based on futuristic materials with a hint of cyberpunk. Had to mess around with that, so here ya go. This entry was posted in Art, Character, Concepts and tagged Character, Concept, Fashion, Techwear on June 10, 2018 by Hilmy.